Laguna Niguel, Calif. (March 21, 2019) – 116 nominees representing 2018’s best from the surf industry were honored last night at the 15th Annual SIMA (Surf Industry Manufacturers Association) Awards ceremony at The Observatory in Santa Ana, Calif., celebrating their outstanding innovations and contributions made to the industry. More than 500 attendees from surf companies and specialty retail shops were in attendance at the sold out event. The SIMA Awards nominees and winners were recognized throughout the lively ceremony, hosted by Pat Parnell. The event moved to a new venue, The Observatory, which provided the perfect setting to celebrate the industry’s best brands, products, retailers and media. The ceremony also served to honor specialty surf shops that have been in business for more than 50 years. Now in its fourth year, the 2019 SIMA Surf Shop Gold Wave Award recognized Farias Surf and Sport of Ship Bottom, NJ, Nomad Surf Shop of Boynton Beach, FL, Village Surf Shoppe of Garden City Beach, SC and Wise Surfboards of San Francisco, CA. 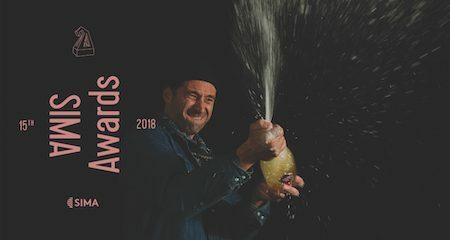 As the only awards program of its kind, the goal of the SIMA Awards is to identify the surf industry’s most influential companies and products, and recognize their efforts to advance and grow the industry over the past year. The following companies were recognized in 19 categories for the 2018 calendar year. The evening was made possible by Surf Expo, Audi and Sync who supported the event with generous sponsorships. Download event and winner photos here. Introduced in 2003, the goal of the SIMA Awards is to identify the surf industry’s most influential companies and recognize them for their efforts to advance and grow the industry over the past year. Eligible SIMA members and specialty retailers are able to enter their brand and products in the appropriate categories. All entries are then reviewed by an industry panel that includes both manufacturers and retailers, who vote to determine the nominees in each category. All paid SIMA member companies and a select list of specialty retailers are then able to vote to determine the winners of the year. For detailed information on the voting process, visit www.sima.com/about-sima-awards. The Surf Industry Manufacturers Association (SIMA) is the official working trade association of more than 300 surf industry suppliers. Founded in 1989, SIMA is a non-profit organization that serves to promote awareness of the surf industry and participation in the sport of surfing through public relations efforts and a variety of services, educational programs and research. In addition, SIMA actively supports oceanic environmental efforts through its 501(c)(3) charitable environmental foundation, the SIMA Environmental Fund. In the past 24 years, SIMA’s Environmental Fund has raised more than $8 million for environmental groups seeking to protect the world’s oceans, beaches and waves. The SIMA Humanitarian Fund, also a 501(c)(3) charitable foundation, was established in 2006 to award grants to various surf or boardsport related social and humanitarian non-profit organizations whose efforts are focused on improving the quality of life, health and/or welfare of people.